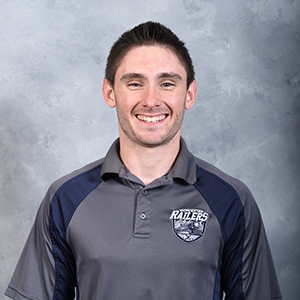 Connor Haynes serves as Senior Account Executive, Tickets and Memberships for the Worcester Railers HC. He joined the club in April of 2017 after spending the previous nine months with the Providence Bruins as a sales associate of groups and partnerships. Haynes also has previous experience as an intern for the Copa America international soccer tournament and spent 12 months as an intern for the Sports Information Department at Worcester State University. The 24-year-old native of Sutton, MA graduated from Nichols College with a bachelor’s degree in Sports Management where he received the Zeta Alpha Phi Award for outstanding achievement in sports management. Connor was also a kicker for the Nichol’s varsity football team and earned NCAA honor roll honors his junior and senior years. Haynes is a graduate of St. Peter-Marian where he served as the captain for the boys’ soccer varsity team and made the All-Central Mass team his senior year. Connor is a huge Boston sports fan and currently lives in Sutton.